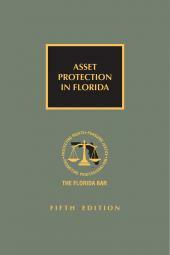 Asset Protection in Florida covers all facets of asset preservation for Florida residents. 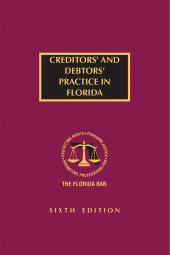 The manual provides comprehensive analysis of the many steps available to protect assets from creditors' claims, both during your lifetime and at death. 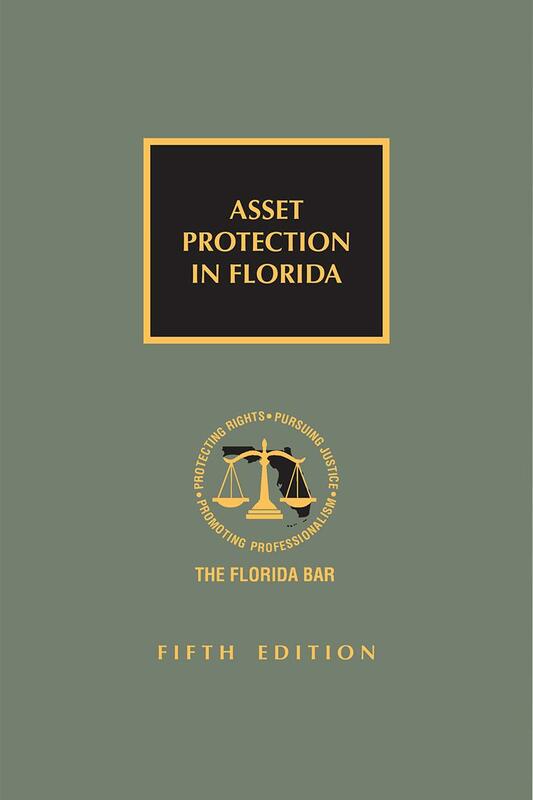 Among the many topics covered are homestead, trusts (both domestic and offshore), business planning, planning for dissolution of marriage, protection of retirement and education accounts, and the ethical aspects of advising clients on asset protection issues. 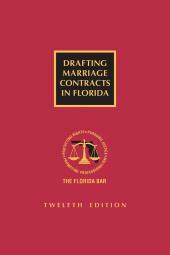 Bankruptcy issues and tax planning are prominently featured throughout the text. 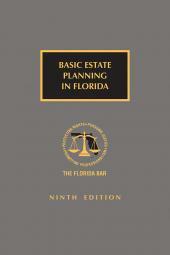 Visit our Estate Planning website for a complete list of The Bar's Estate Planning related titles.